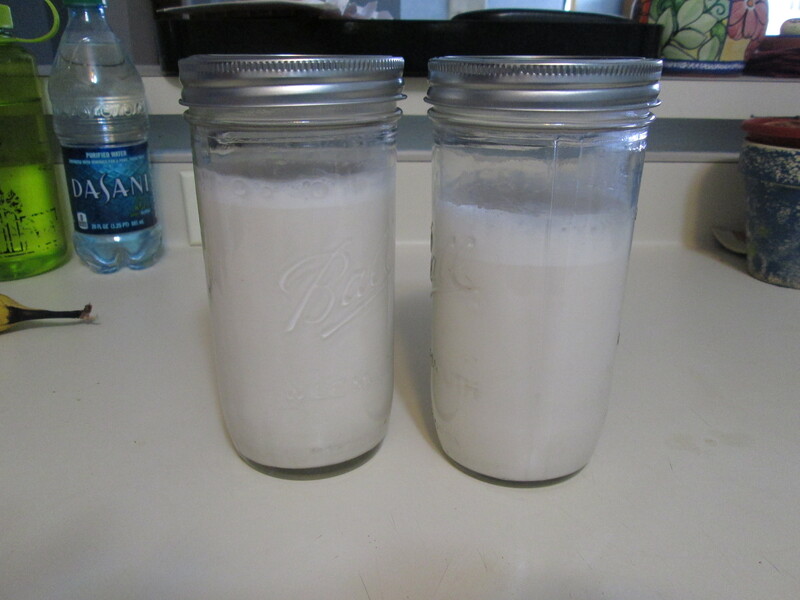 Homemade Almond Milk with Bonus Almond Flour! I love almond milk. It’s definitely my favorite non-dairy milk yet. I enjoy coconut milk and I’ve tried a few others (I would not recommend making box macaroni and cheese with hazelnut milk EVEN if you’ve just moved into your brand new apartment and nothing is unpacked…). 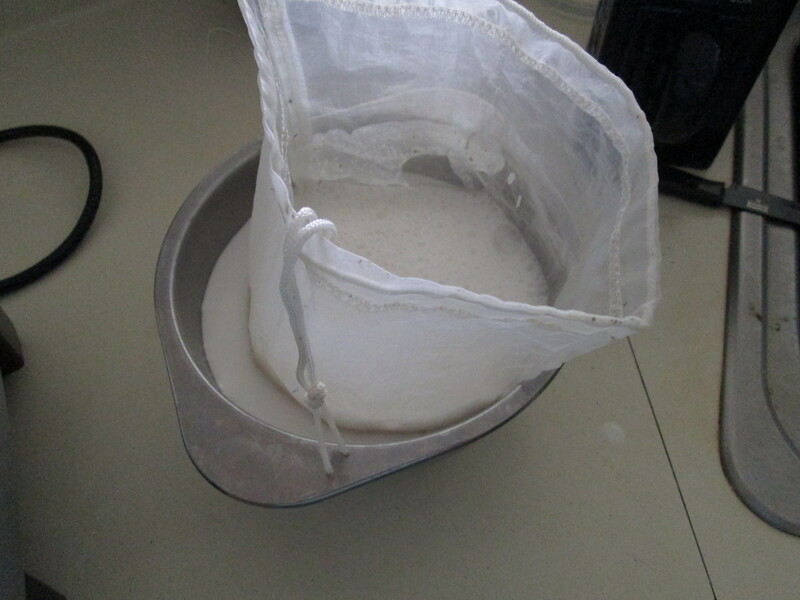 I was thrilled when I started making my own almond milk! Not only is it easy, but it’s way more almond-y in flavor than store bought. I also find it slightly more economical in my area. 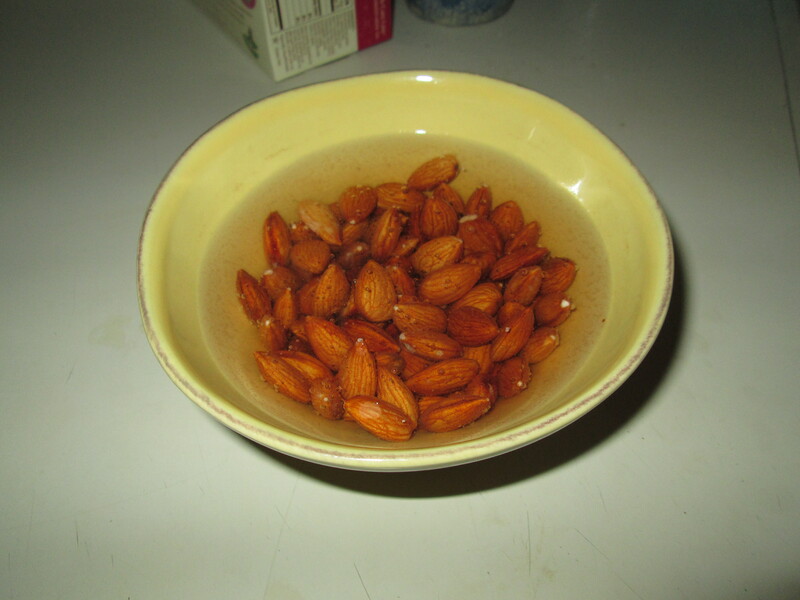 Soak the almonds for 12-24 hours (this is where you have to plan ahead). If I don’t have time to make my milk in 24 hours, I’ll occasionally rinse and drain and then just stick the almonds in the fridge. It seems to work fine. The soaking water will get gross. Don’t worry, that’s normal! 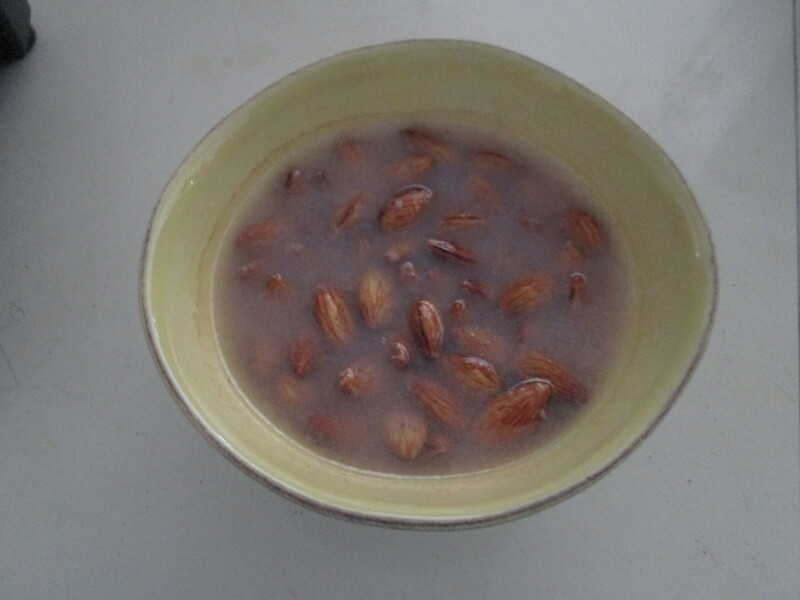 Rinse the almonds well and drain them. This is also a point where I take out any that look bad, which rarely happens. 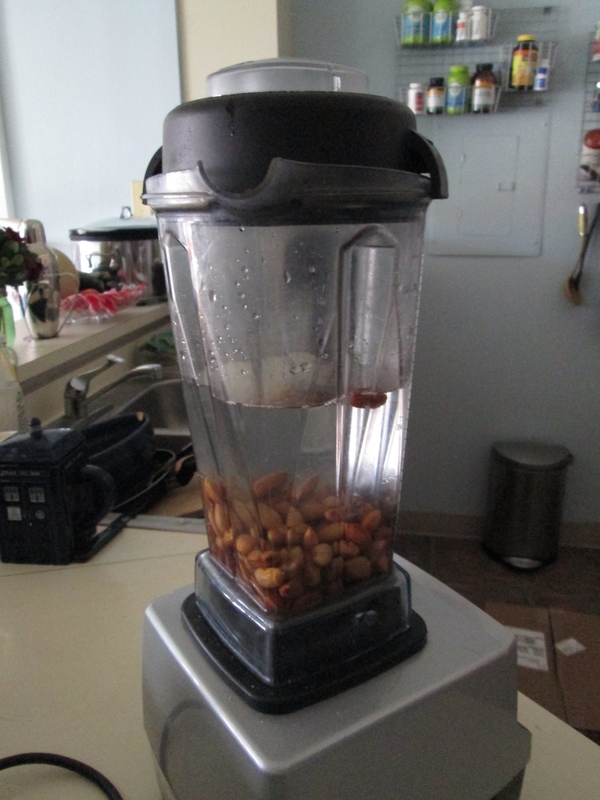 Put the 4 cups of water in the blender along with the soaked almonds (do not put in the almond soaking water!). BLEND THAT UP! BLEND IT! You can use your almond milk just like this if you don’t mind the silt. I know some people that use it just this way for smoothies and love it! However, I usually strain mine at this point by pouring it into the nut milk bag and then squeezing it out. I use a big bowl for this because it’s easier for me and then I transfer the milk into a container to store in the fridge. Store your almond milk in the fridge and enjoy it! It will separate, so just shake it up when you’re ready to use it. It lasts about 1-2 weeks. Usually closer to 1, but I’ve had it last for 2 before. You will know when it goes bad. It will NOT smell nice (this has happened once or twice to us). Note: The only downside of almond milk is that you do have to plan ahead to make it. However, the homemade version is worth the wait! I was always buying it at the store, but I find homemade much tastier! Bonus Almond Flour: I can’t take all the credit for this one! Amy, who has guested here before (and has her own beautiful blog) pretty much gave me this idea. 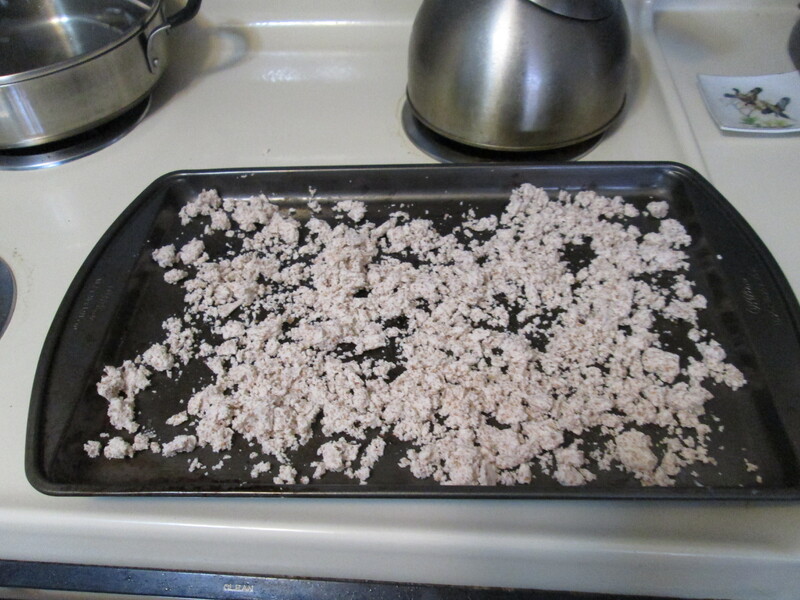 If you take the almond meal that you strained out and dry it you can use that in your cooking, too! I put it on a cookie sheet and set my oven between Warm and 200 F. It takes hours. When it’s dry it will resemble Styrofoam a bit. I think you could also use a dehydrator if you happen to have one (I don’t, so I can’t speak for how well that would work…comment if you try it!). 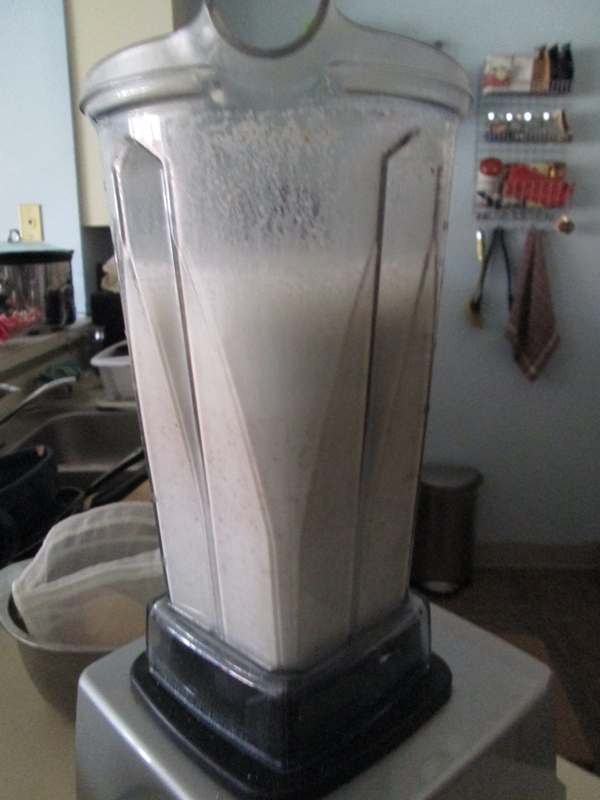 I then put it back in the blender to break it up and make it more flour-like and store it for the future. You can add it to smoothies if you want a bit more fiber or you can use it in your baking just like you would any other almond flour. One of my favorite uses is cauliflower pizza crust, which I hope to post soon!